What to drink on Thanksgiving is a hotly debated topic, and any wine lover you ask will have an opinion. The perfect Thanksgiving wine is, after all, a complicated pursuit. So many different flavors are at play on the plate: gamey turkey, savory herbacious stuffing, with a lot of sweetness from the sweet potatoes and cranberries. Plus the umami factor: gravy, chestnuts, mushrooms. All together, the meal tends to be rich as can be so you definitely don’t want a wine that is too oaky and tannic to weigh you down or overwhelm the flavors. Silky tannins and high acidity are absolutely key to creating a sense of balance. Pinot Noir and Gamay are classic choices for reds. Riesling could surely get the job done. But where in the world is there a better selection of wines across the board that embody what you want in a turkey wine—all for a reasonable price—than the Loire Valley? From appetizers to dessert, you can find everything you need. A long-beloved region of mine, the Loire is just what you need to counteract the decadences of the plate: crispy, crunchy, lively wines that are just begging for food. Hear us out. Thanksgiving isn’t a sprint, it’s a marathon, so I like to start with something simple and festive for appetizers. Also I love cheese. These fig and blue cheese bites are just what I’m looking for. They’re bite sized, and they work with the earthy, autumnal flavors of the day. They’re easy to throw together, but still elegant. To drink, try a bubbly from Saumur. 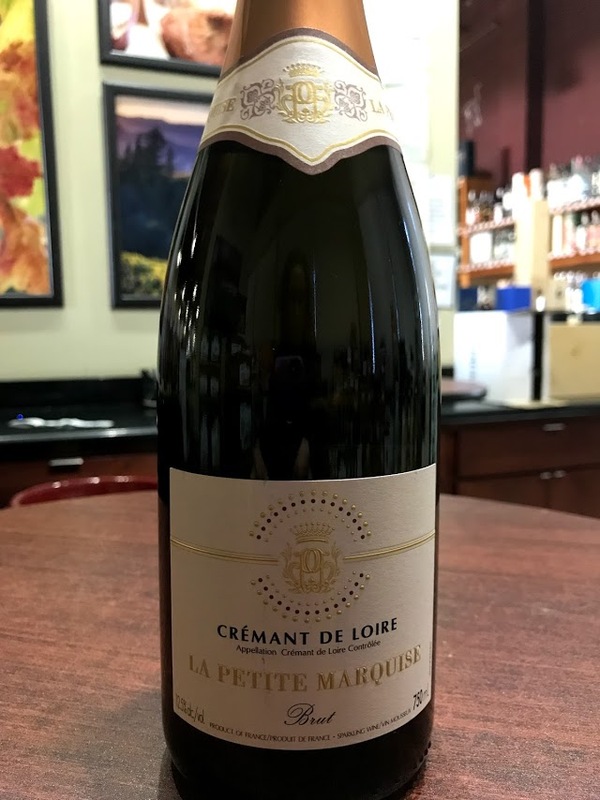 Domaine Deligeroy’s blend of Chenin Blanc, Chardonnay, and Cabernet Franc made in the traditional Champenoise method is the perfect opening act. The acidity here is straight as an arrow, with bursts of stone fruit and grapefruit on the palate. The recipe here is a bit of a blank canvas: you can add pumpkin pie spices such as cinnamon and nutmeg if you’d like to—the Vouvray will easily stand up to it. 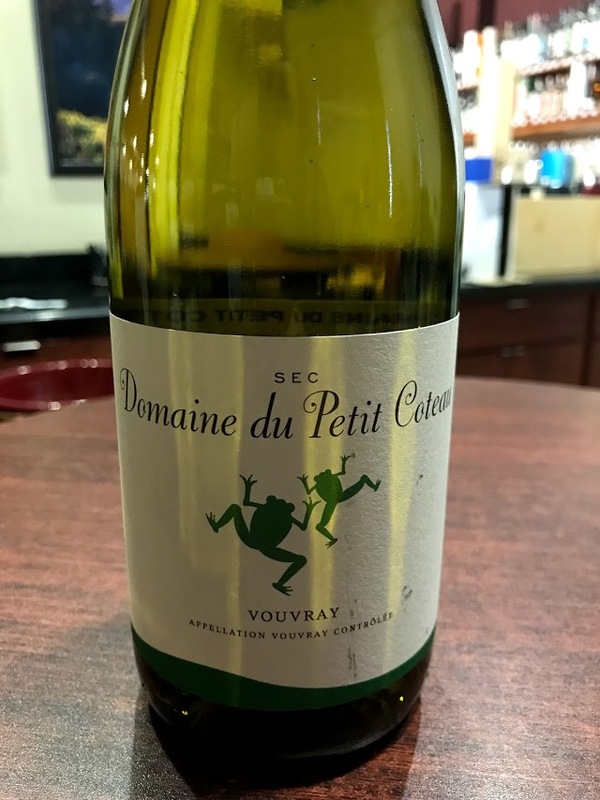 There’s a sensuousness to this Chenin Blanc, which is round and luscious with a naturally high acidity that carries through to its dry finish. It’s super charming with notes of white flowers and pears. (Bonus: the grapes are farmed organically and grown on 40 year old vines.) It’s a great match for a soup that combines savory, spicy, and creamy aspects in one bowl. Cabernet Franc is a foodie hero that doesn’t get its praises sung often enough, and it’d be an excellent choice for the Thanksgiving Main Event. The Domaine Les Pins has an elegant violet and potpourri quality to it that pairs perfectly with the herby elements at play. The beauty of this Cabernet Franc is the yin-yang it possesses of savory, earthy notes and bright cranberry fruit. With all that’s going on on your plate, this will not overpower, but coax the myriad elements into one harmonized symphony in your mouth. Good dessert wine really deserves a place at the American table, but it’s all too rare that you find it. The problem is, when you match a very sweet wine up with a very sweet dessert, you can end up with a sugar overkill, making it hard to achieve the right sense of balance between food and drink. But we’re Americans, we like our sweet desserts! Our solution here is to make a pumpkin cheesecake—the perfect combination of sweet and savory. This wine was made from 100%-botrytised fruit, giving it an unreal glycerol, golden texture. But it’s not at all cloying; it’s light on its feet, and is the perfect counterpart to the tang from the cream cheese and sour cream. It’s a glorious note to end on, and fine way to enjoy all the hard work you’ve put in to make this meal. Good luck to all the home chefs out there! We’re here for you, and love nothing more than to geek out on food and wine, so hit us up if you are still trying to find the perfect pairings. And when in doubt, you can’t go wrong with the beautiful, brilliant wines of the Loire Valley.